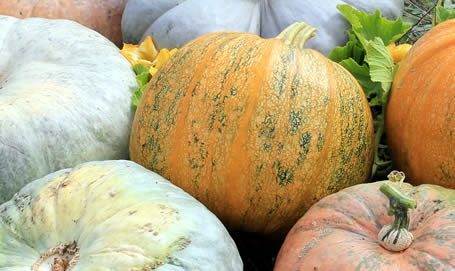 Later in the summer and into the fall, come back for a surprising variety of heirloom pumpkins, winter squash and vegetables to pick and take home. From arugula to bok choi, winter squash, to sun-drenched strawberries & tomatoes, there’s plenty of picking opportunities for you and your family. See all Prairie Garden’s U-Pick has to offer below! All garden vegetables are Non-GMO produce. Pumpkin Patch – Thousands of Pumpkins – every colour, size, shape! Sundrenched Alberta strawberries fresh from the farm. The berries are lovely this season, but we will have only 30-40 pails available per picking on Saturdays and Wednesdays for season, as the plants were impacted by last summer’s drought. Season is EARLY this year, as it usually runs from Mid July – Mid August. Sign up for the Prairie Gardens E-newsletter to be notified when the strawberries are ready for pickin’! Never Been to a U-Pick Strawberry Patch? It’s Summertime Fun! Here’s how it works! It takes about three days for a half-ripe berry to turn red. Usually, we have folks out picking on Saturday, which means that ripe berries are ready to pick again by Wednesday (U-pick starts at 10am, on a first come basis), however, if there are yet more ripe berries, we continue picking. If it rains, there are ripe berries ready by the next sunny day. A little hard to plan for, but that’s nature for you! The “King” Berries are the first and largest of the season. Pick-Your-Own starts for them about the 15th of July. They are the first berry of the berry cluster, and are available for the first week. “Main-Season” Alberta U-Pick Strawberries in the Edmonton region are ripe for the picking the week of July 22nd. The berries are sweet, juicy and dripping with sun-ripened flavor. Main season picking runs for about a week to 10 days, until the end of July. The “Fairy” Berries are the sweetest (and the smallest) of the season. They’re usually ready for the beginning of August, but the hot weather changed everything! Celebrate the end of the strawberry season with us at our on-farm Fairy Berry Festival the August long weekend. Russet, Yukon Gold and Red Norland potatoes are available by the sack. Sweet Corn – Please call ahead to order by the 50 cob sack! Sweet Corn is ready in Late August until frost! When in season, call to pre-order a Sack! Sweet Corn on the Cob is like garden candy! We’re growing it at the homestead farm, and will have ready picked corn ready for our Corn Fest weekend! Our sweet corn is usually ready to harvest around the last week of August. We grow six different varieties, from Extra Early Super-sweets, to Peaches and Cream. We sell it by the cob or by the sack. Taber may be famous for it’s corn production in Alberta, but fresh sweet corn is absolutely the sweetest when it is fresh picked. The sugars within the kernels convert to starch very quickly (by 50% every 24 hours). The six different varieties we grow start to ripen by late August and continue until the first killing frost –usually around mid September. Please give us a call at 780.921.2272 to order it by the sack for corn roasts or parties. The long weekend in September we celebrate the harvest with the Prairie Garden’s Corn Fest! We also grow baby corn! And Corn Mazes! Look up! Way up! It’s the Maze Corn – which grows quickly nearly 15 cm a week to a towering height of over 3 meters tall – and is ready to get lost in by the August long weekend. We grow over 7 acres of maze, with 5 km of trails in it. Each year, Precision Mazes, from Kansas City, Missouri, creates a brand new GPS design for our Great Prairie Corn Maze, full of twists, turns and surprises! Even after the frosts, the maze corn stands tall until the end of October, and becomes part of the fun at the Haunted Pumpkin Festival. We grow over 40 varieties of pumpkins in a huge 7 acre field, then hand pick them and bring them indoors into our greenhouse pavilions when the nightime temperatures start to drop below freezing. We’re famous for Blue Pumpkins, Striped Pumpkins, Warty Pumpkins, Pie Pumpkins, and Big Bruisers for Jack-o’Lanterns! White pumpkins are excellent this season, as the hot summer days are just what the pumpkins needed to mature! We grow Baby Boo (mini) Casperita, Casper, and Cotton Candy white pumpkins. Our favorite is called “One too Many” as you can never have one too many of this one. It’s white with an orange spider web over the top! Come pick out a pumpkin weekends at our Haunted Pumpkin Fest! On weekdays, come and choose a pumpkin from our indoor pumpkin patches is between 2:30 and 4:30, when we have staff available to assist you! On the weekends, admission is refunded if you stay less than 1/2 hour to purchase your pumpkin. We grow all of our own pumpkins in the Edmonton, Alberta, countryside. The prices range from $1.50 for Jack-Be-Littles, to $3 for Pie Pumpkins to $25 for Jack O’Lanterns. Choose a pumpkin early in the season. If they are still green, “cure the rind” to turn them orange by leaving them in a warm, dry place. Do not store them on a concrete floor in the garage, as they may sweat and the bottoms will fall out! By mid October, they should be clean, free of soft spots, and have a deep rich color. A notable exception to the color rule are the white varieties such as Cotton Candy. White varieties should be perfectly white with little or no variation in color and definitely no green. Blue pumpkins, like Jarahdale make great carving and cooking pumpkins, too! Pumpkins should have a hard rind and feel heavy for their size. The longest lasting pumpkins will have stems that are intact, dry, and have been cut well away from the pumpkin. Different varieties of pumpkins are grown for different purposes. Selecting a variety grown for carving will give the best results. Be sure to avoid pumpkins that are broken or cracked or have excessive scarring. Properly cured pumpkins are quite tough. Pressing your fingernail to the side of a good pumpkin should leave little or no mark. Those that scar heavily should also be avoided. Despite being exposed to the weather, it is often better to purchase pumpkins from the farmer or farmer’s market rather than a supermarket. The reason is these pumpkins have generally spent more time on the vine and have fully “cured” or ripened so that they have greater storage potential and are less prone to rot. Once you get your pumpkins home you’ll want to store them for maximum enjoyment and longevity. Storing in a cool, but not freezing, dry place. Temperatures below 5ºC will cause chill damage. Properly selected and stored pumpkins can and often do last from one Halloween to the next! After you’ve carefully carved your pumpkin into a Jack-o-Lantern there are a number of things you can do to make it last its longest. First, you need to protect the pumpkin from temperature swings and direct sunlight. Keep your pumpkin on a covered porch with good air flow when on display and in a cool dry spot when not. Freezing and high temperatures should be avoided. The second thing you can do is to coat all cuts with a solution of lemon juice and water. This helps create and acidic environment that many molds do not like. Third, You can also coat the cuts with petroleum jelly or even cling wrap to prevent exposure to oxygen. These two can be done together for maximum protection. Fourth, if your pumpkins are small you can dunk them in commercial pumpkin preservatives. This is the most expensive route but if you spent hours carving your jack it might be worth it as you can display your creation longer. Another method is dunk your pumpkin in a brine solution as if you were making pickles. We grow a wide variety of squash including green or gold Zucchini, Vegetable Marrow, Scallopini, Lebanese Zucchini, Vegetable Spagetti, Hubbard, Acorn, and Stripetti squash. They can be cooked in a number of ways. We love to sautee slices of them with butter, garlic, and herbs. You can also stuff them with a mixture of cooked hamburger, rice, and tomatoes.